Indigo Exploration Inc. is a Vancouver based junior exploration company focused on exploring for precious metal deposits in highly perspective geological terrains. Indigo's projects are in Burkina Faso, one of the West African countries underlain by the productive and highly prospective Lower Proterozoic Birimian Greenstone Belt. Unlike the more mature exploration terrains of Ghana and Mali, Burkina Faso is relatively underexplored and offers excellent gold potential. 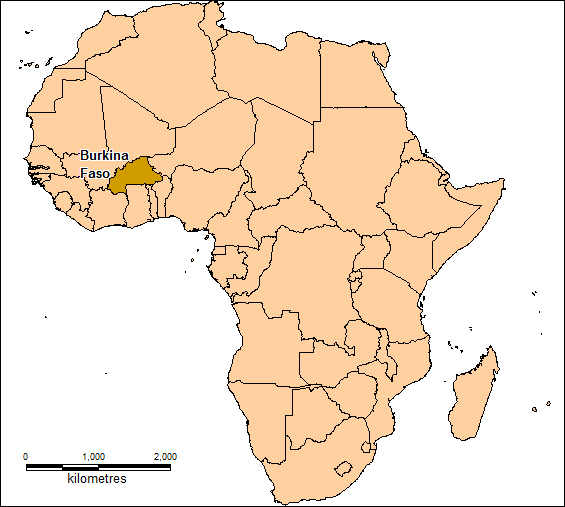 Burkina Faso currently has nine operating gold mines and has a number of advanced stage projects advancing to production. The Company has two exploration permits in Burkina Faso through the acquisition of Sanu Resources Burkina SARL, a subsidiary of NGEx Resources Inc. and exercising a seperate option agreement. 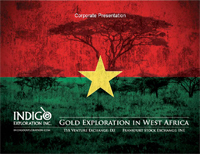 Indigo Exploration Inc.’s corporate objective is to increase shareholder value by directing exploration dollars into the ground to advance and develop its quality mineral projects. Paul Cowley, P. Geo. President, CEO, director and consultant of Indigo Exploration Inc., is the qualified person who has reviewed the technical material contained on this website.